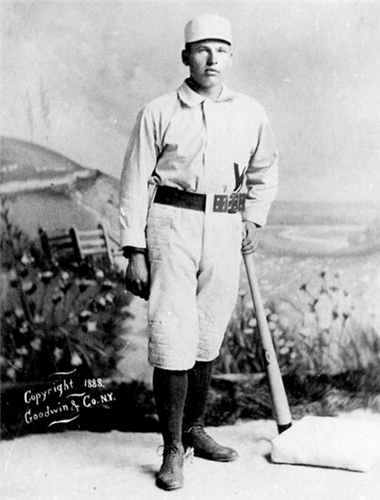 Dummy Hoy - Baseball Hall of Fame in 2015? Dummy Hoy is eligible this year! Under the current rules, any person to be considered for Hall of Fame induction whose greatest contributions to the game were realized from the pre-1947 era can be voted on every 3 years. For the next two years, for every 1,000 signatures this petition receives between now and October 2015, a personalized letter will be addressed to each member of the BBWAA Historical Overview Committee, urging them to consider Hoy for the list of nominees. The list will then be submitted to the Veterans Committee for induction to the National Baseball Hall of Fame in Cooperstown. The petition is listed as having been begun by a gentleman named Don Casper, who is a filmmaker from Rochester New York that attended the Rochester Institute of Technology. Great Job, and thank you Don Casper! We applaud your enthusiasm, and we’re proud to help you mount a coordinated effort over the next two years to make this happen. Please let us know if there’s anything that we can help with! Simply join I See the Crowd Roar and the Lil, Red Foundation and sign this online petition at Change.org if you think Dummy Hoy deserves consideration again in 2015! Change.org is an American certified B Corporation incorporated in Delaware that provides a free petition tool for 45 million users. They host sponsored campaigns for organizations wanting to bring about change.